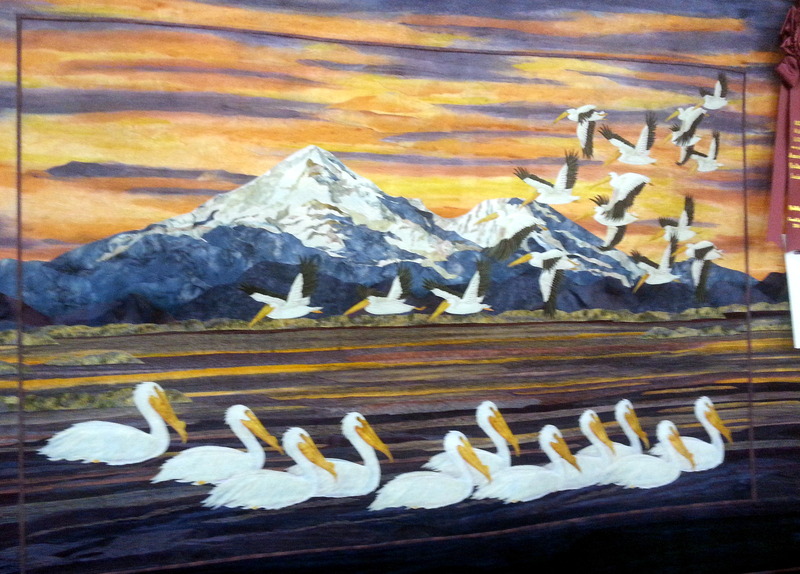 This entry was posted in Michigan, quilting, retirement and tagged Grand Rapids, hobby, Michigan, Quilt of Belonging, quilting, textile by Judy Crankshaw. Bookmark the permalink. I simply LOVED seeing those quits! True works of Art they are indeed! I grew up in West Virginia through childhood into my younger adult years. Mountain craftsmen and craftwomen of the older generation of Artists were the stewards of the younger generation. They taught them and counted on them to carry on the many art forms that make up Mountaineer Life. There is a pride I feel every time I see such wonderful works of art. I have no talent for those arts but have the love of them none the less. As for you and your talents… What little bit I have gathered from your blogs and your love of tent camping, tiny RV camping, cycling, cast iron cooking outdoors, etc., you are a ready-made instructor of those things, passing those to the younger generations. 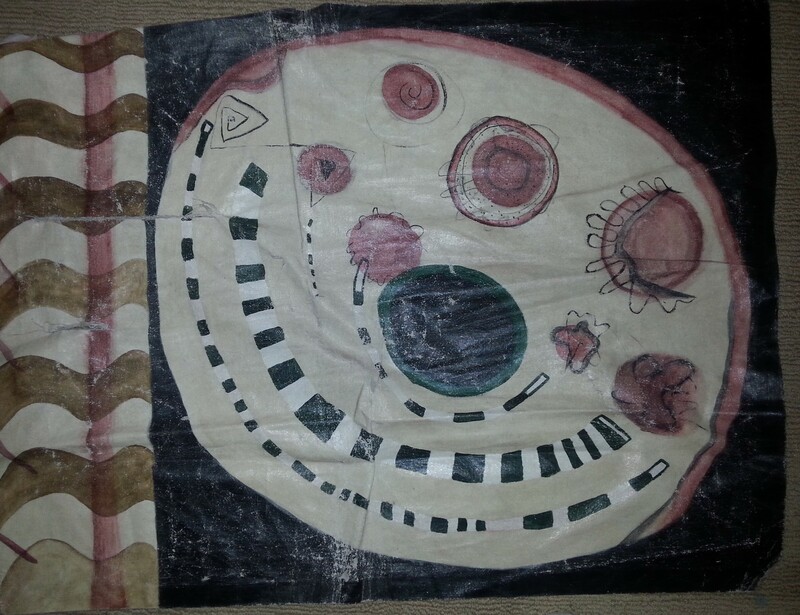 It is, afterall, an aquired art and one that is often taught at community centers, colleges, etc. Have seen the prices that the big-box sporting goods stores charge for the very same knowledge you have?! Just think about it a little, muse about it some. It could happen that you ARE already the talent you want to be. Your writing skills are a perfect fit, too, as well as your photography. There are whole groups of folks who do rent-a-tent classes. How to set a tent up, what to look for when buying one, how to waterproof it, etc. Have I pushed a button yet, LOL? How great would that be, really, and all your travel expenses would be work-travel related to boot. Just a thought mind you, but a good one at that. Who knows, maybe. Don’t think it would be a good idea for me to try to reach anything to anyone, unless it would be an accident. ;-) We think occasionally about trying the Camp Host thing, but that seems like it has the potential to be a LOT of work. 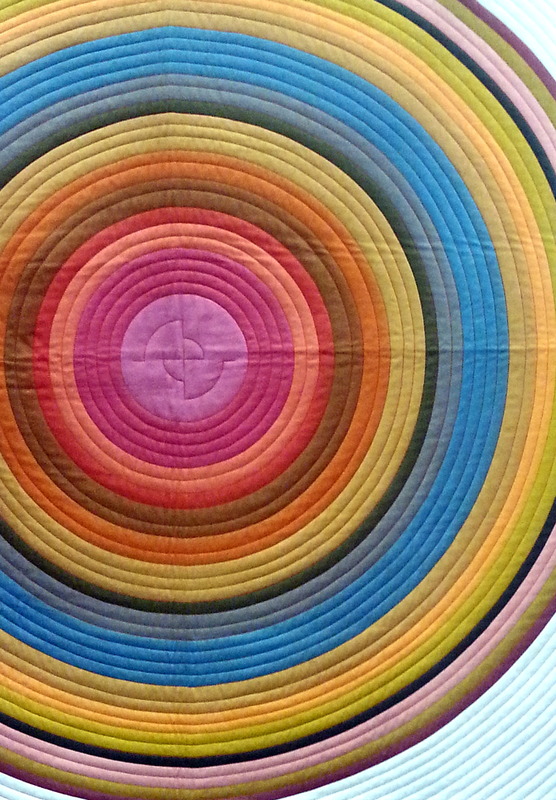 Spectacular quilts…thanks for sharing those photos!! Cannot wait to travel along with you on this next journey. Be safe and peace, love & camping. 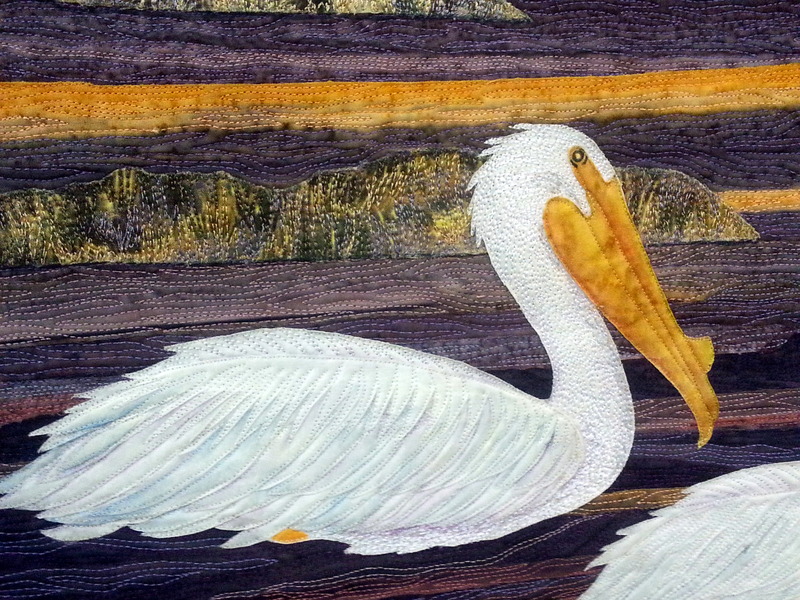 You probably see gorgeous quilts every day, being in the heart of quilt country. We are looking forward to hitting the road again – seems like it takes a couple of weeks away from home for us to hit our stride, so a long trip (hopefully) will be a great trip. This is my talent? But, I want to sing!!! Paint! Play the banjo! The bird ones were intriguing to me as well, with their layers of color. I don’t see any great streaks of creative talent in my family as all. There wasn’t much for me to inherit, and certainly none for me to pass on! 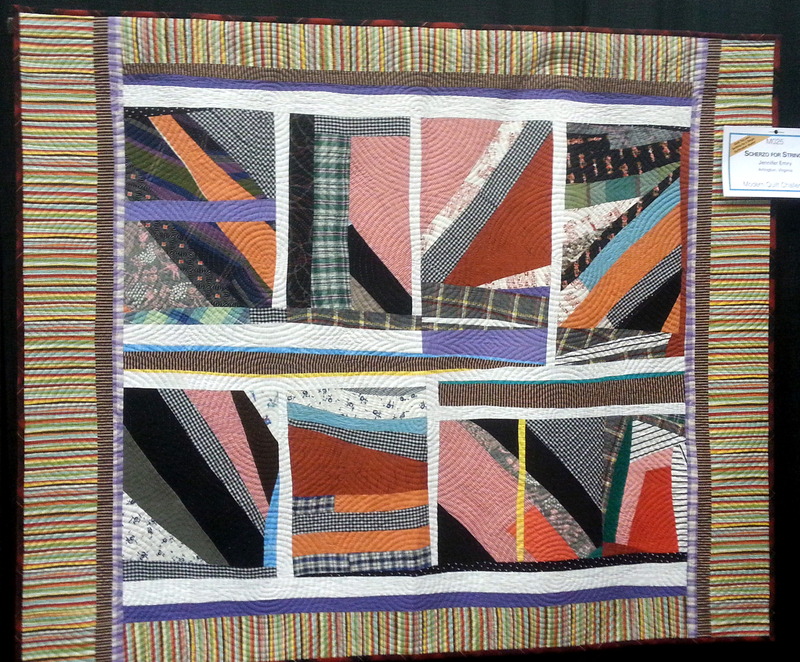 Traditional patchwork quilts have always left me cold. 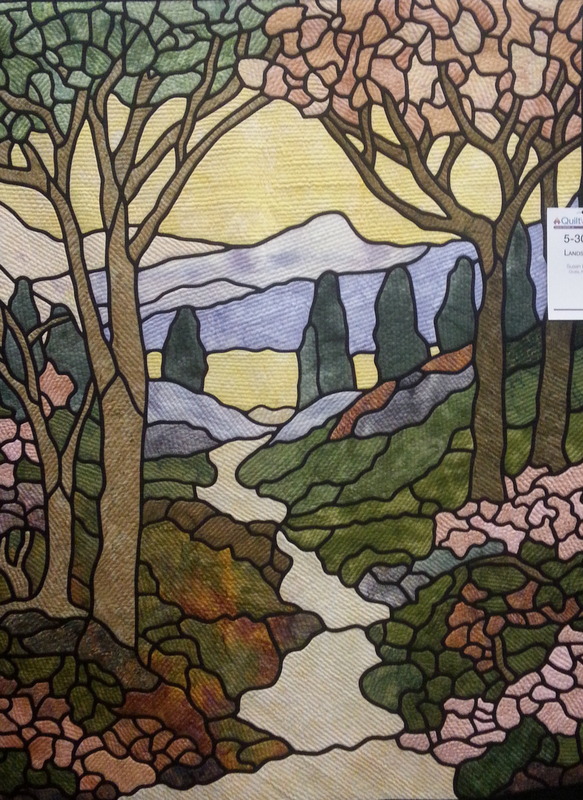 But the art quilts are stunning. 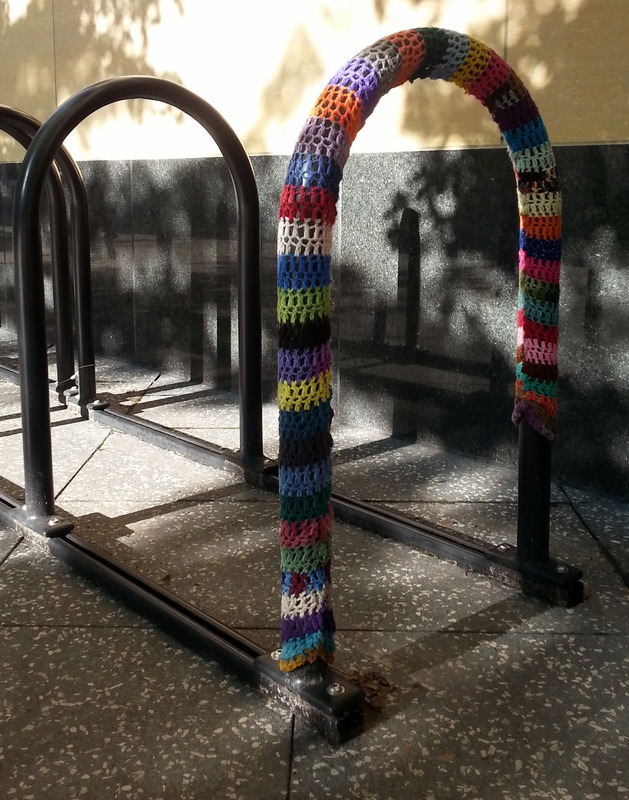 I am just boggled at what some people can do with fabric! I love the traditional quilts! Perhaps they are more craft, and less art. 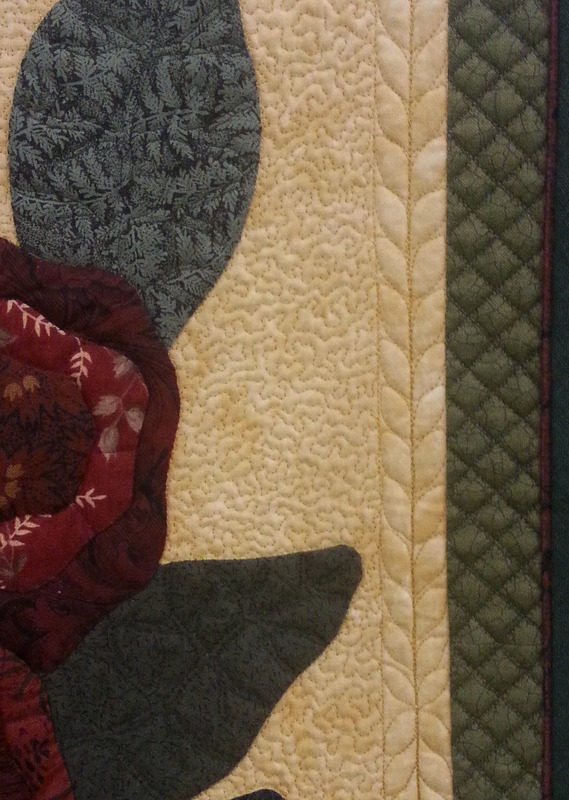 We have several, all quilted by John’s mom, dad, or sister. Our bed quilt is the Double Wedding Ring design – wouldn’t trade it for the most elaborate of the modern quilts. 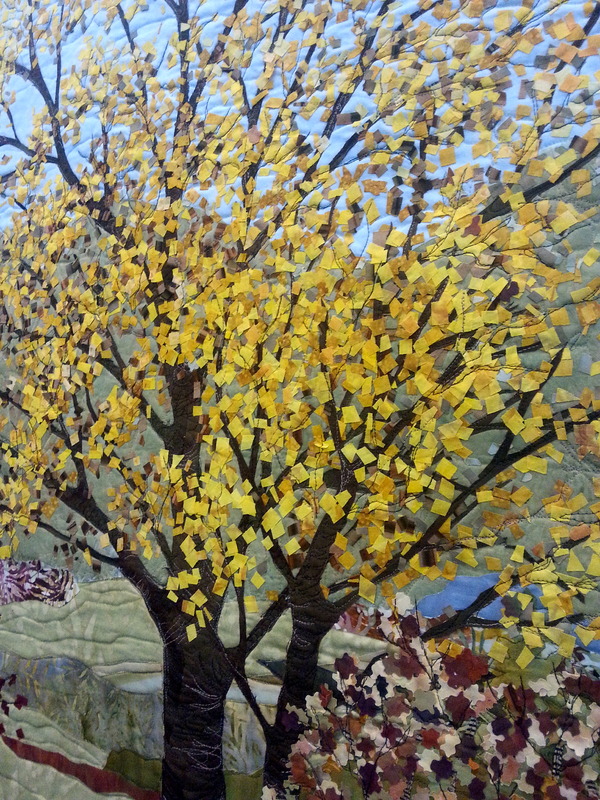 But, the artistry of the modern quilts is mind-boggling. They are spectacular! My daughter is a quilter. I’m forwarding your blog to her! These are absolutely beautiful works of art!! On another note I’m totally envious that you are preparing to go out again for two months!! Have a great time! Thanks, Susan. We are really looking forward to this trip out – we won’t be covering so many miles. I’m becoming a big fan of more camping/less driving. 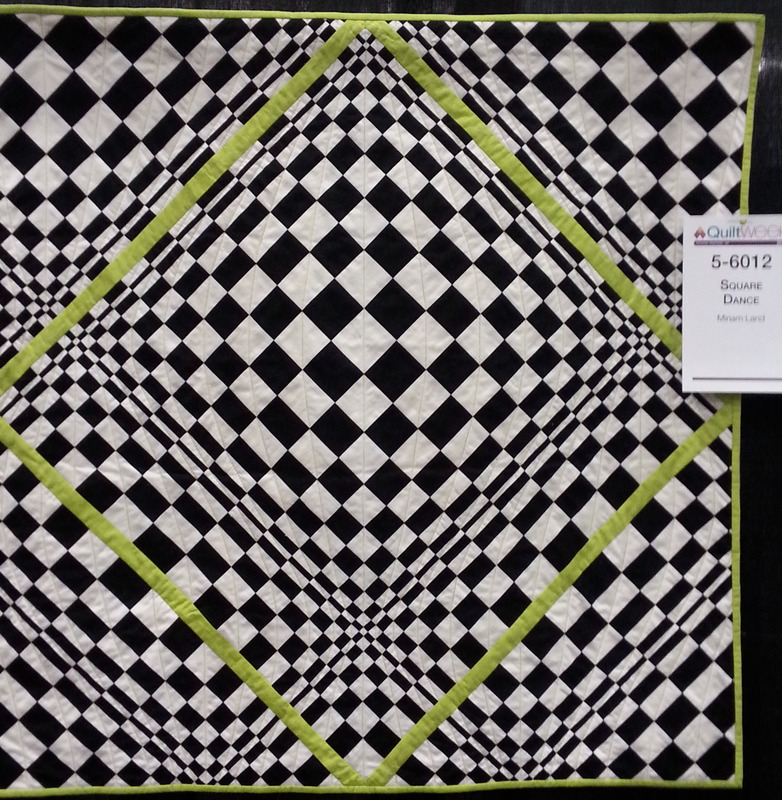 The quilt show is spectacular. Love to look, and am happy to know that it’s quite out of my league to even consider trying! Just looked at these–Isabel loved them, as did I. Unfortunately, I don’t think I can make any of the ones she requested! 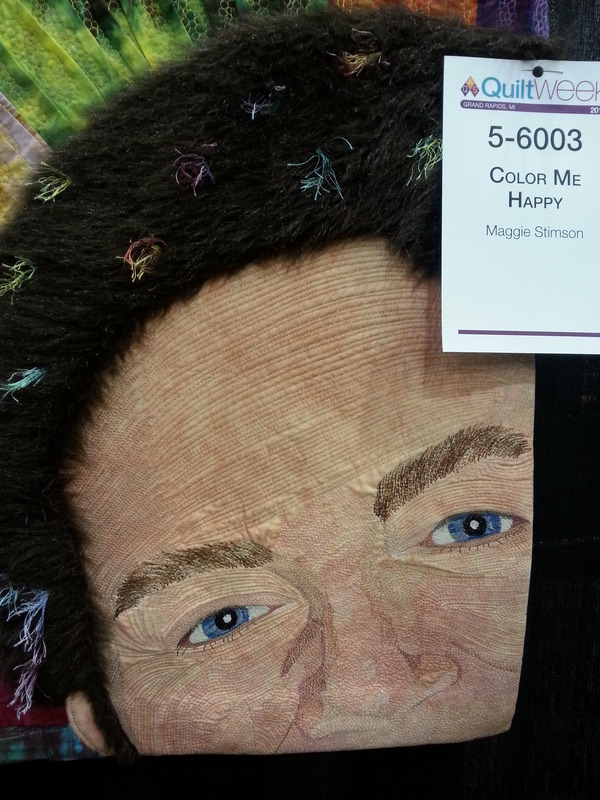 I can’t imagine how most of these quilts are even conceptualized, muchless executed. But, you never know until you try….., eh? I am always amazed at the zillions of ways that artistic people can interpret their worlds with so many unique materials, styles, and expressions. They open the world for me a little bit at a time. Those quilts are simply gorgeous. Judy, you have a unique talent yourself of pulling people together for events and causes. I so admire that in you. Our talents don’t always have to be in the visual or auditory arts. Your EQ is very high. Keep sending those photos of you travels and experiences. LOVE IT. Thanks, Alison. It means a lot to me to have you out there in the world as a friend, reader, and commentator. If we can keep ourselves on the road, I plan to keep up the blog. I have always wished I had quilting abilities, but alas, everything I touch instantly turns into a rag. Your floorcloth, however, is gorgeous! I love it! Your sewing abilities sound somewhat like mine…..if a button falls off a shirt, I very carefully save the button/shirt and put in a mending pile. Two years later, I take the pile to Goodwill. 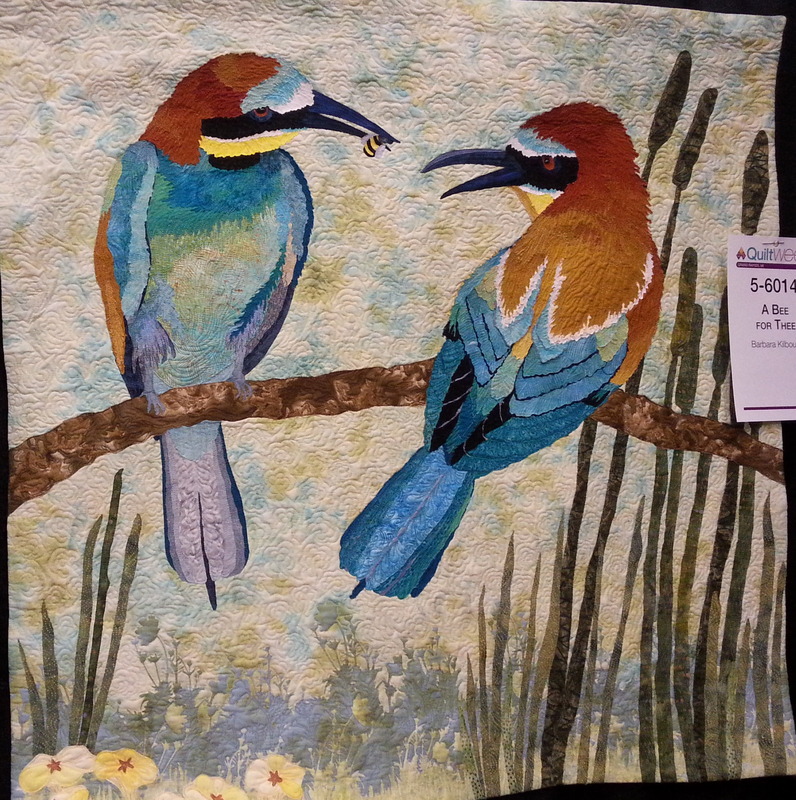 I admire those with the ability and patience to quilt, or do any kind of needlecraft. Not for me, obviously. I like those flying saucers!!!! 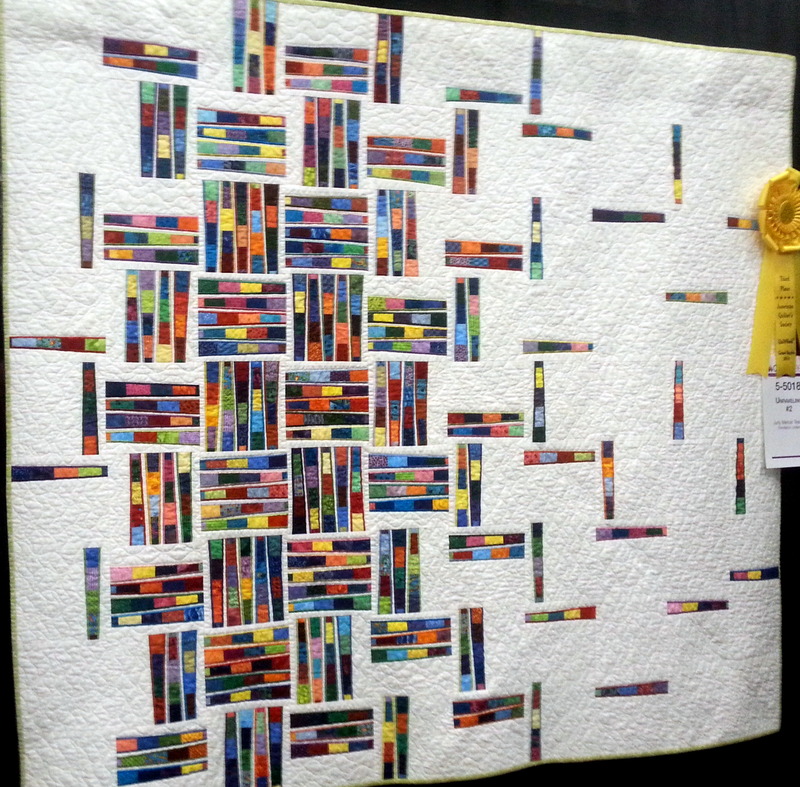 Great quilting work. In Bloomington there are trees on and by the square with “koozies” up their trunks and limbs in all colors and patterns. 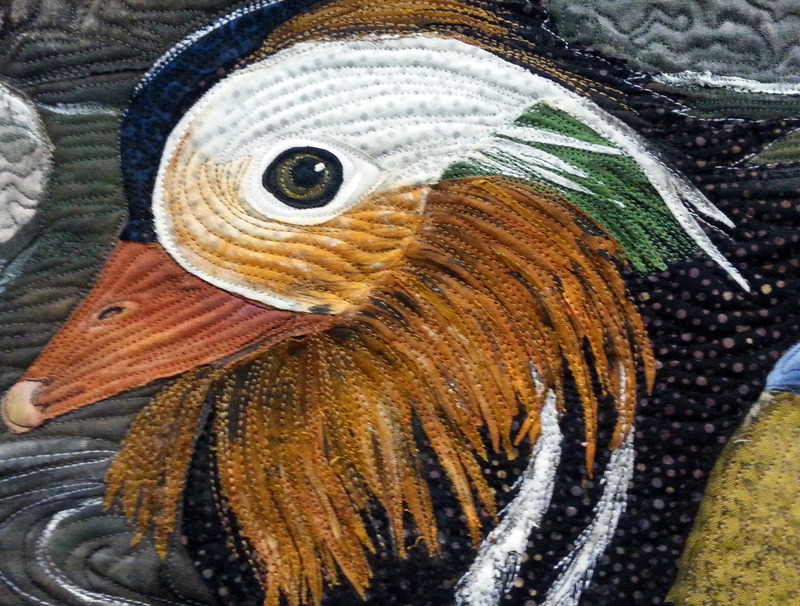 Don, you would appreciate this show, for sure, as I’m pretty sure you’ve got some quilting genes. Like the idea of tree koozies – only in Bloomington! 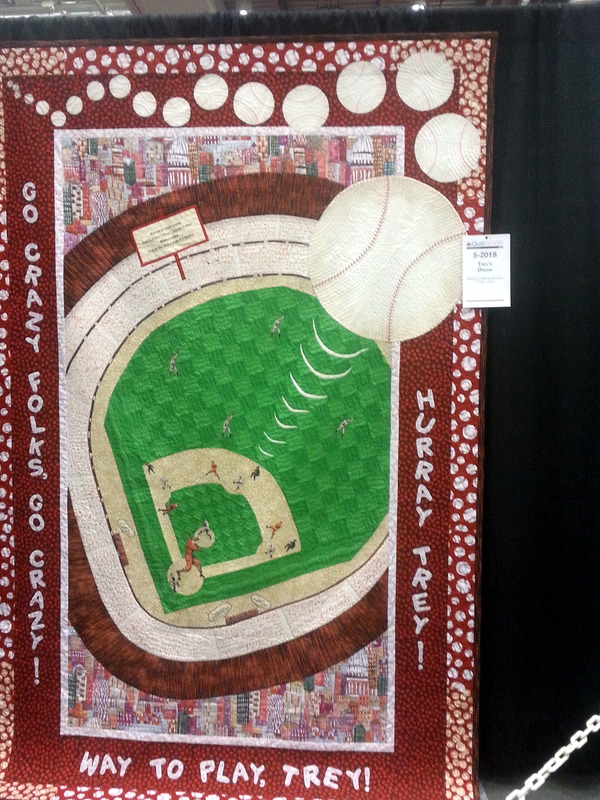 Wow, I knew that there were some very talented quilters, but I never knew how artistic some of them are! I need to get downtown more often, I’ve been missing all the good stuff the past few years. But then, I have your blog to show me what I’ve missed, so I haven’t really missed it. Thank you! Jerry, if you rely on my blog to let you know what you’re missing in town, you have serious social issues! Maybe we should make a pact – you take me out in the woods once a month, and I’ll take you on an urban adventure! Thanks for checking in. Jochen, you are one of those talented, artistic people I admire. Will try to keep stories coming your way.